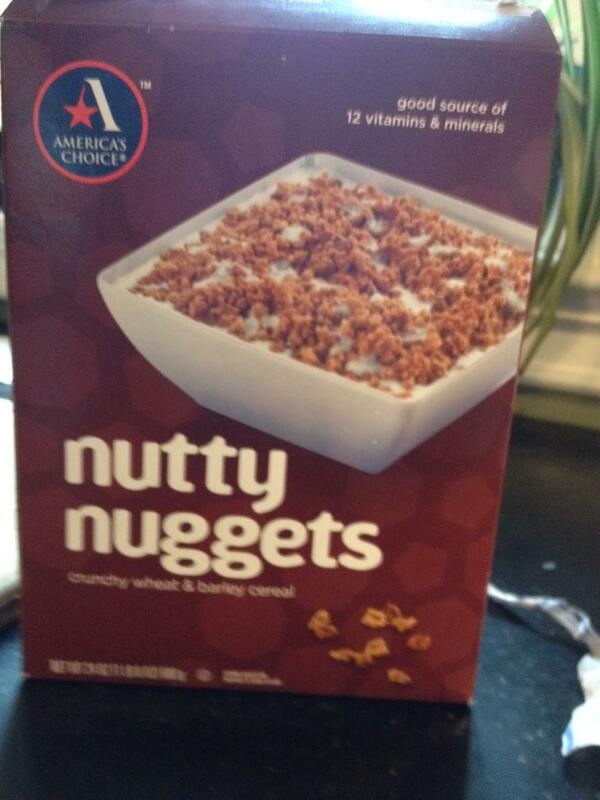 Quick Breakfast Recipe and Happy Thanksgiving! It’s hard to believe it’s thanksgiving already! The start of the holiday season. The holiday season for me starts on my birthday (Nov. 7) and then thanksgiving and then Christmas and then new years! And Christmas is just around the corner……. 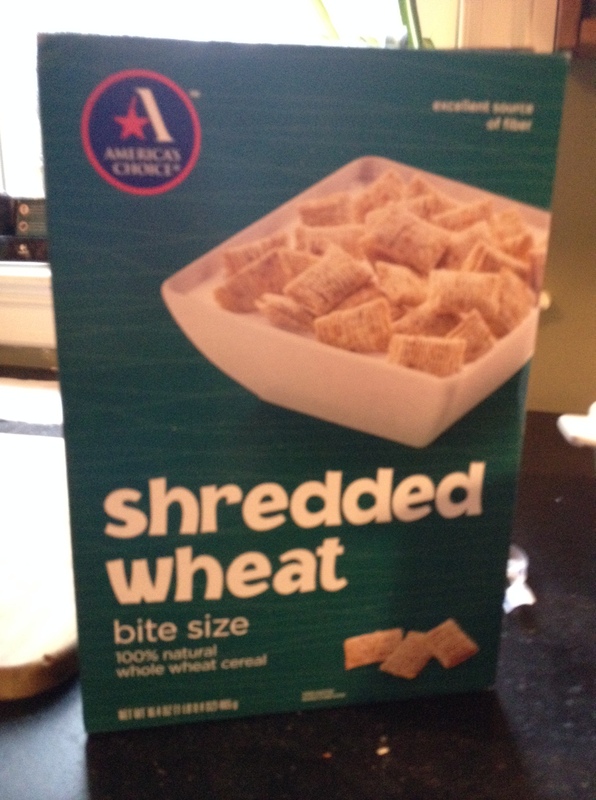 Cereal: shredded wheat (not frosted), nutty nuggets, cheerios, or some kind of plain cereal. 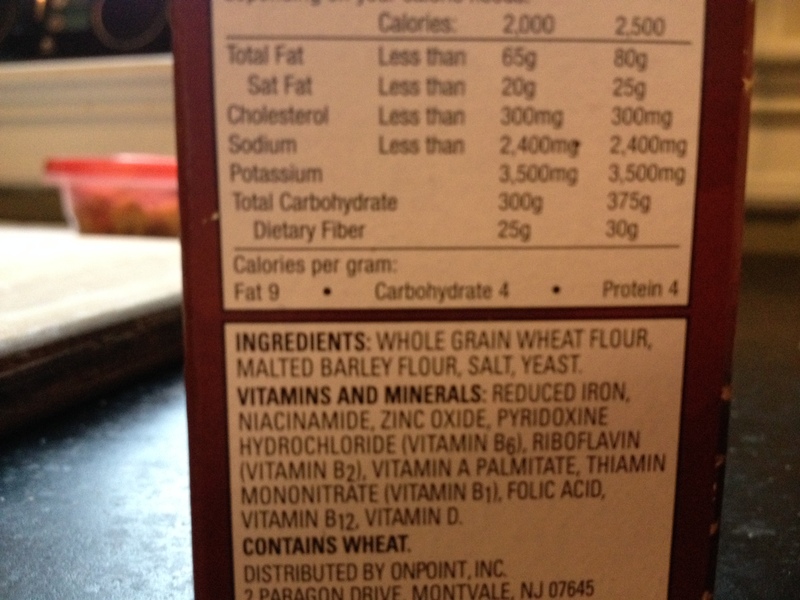 Check out that healthy ingredients list! Whole wheat flour, malted barley flour, salt, and yeast! Sweetener: maple syrup, agave nectar, honey, or good old fashioned sugar! 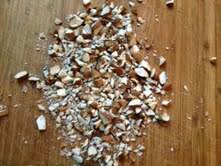 Chop your preferred nuts so there ate still big chunks. 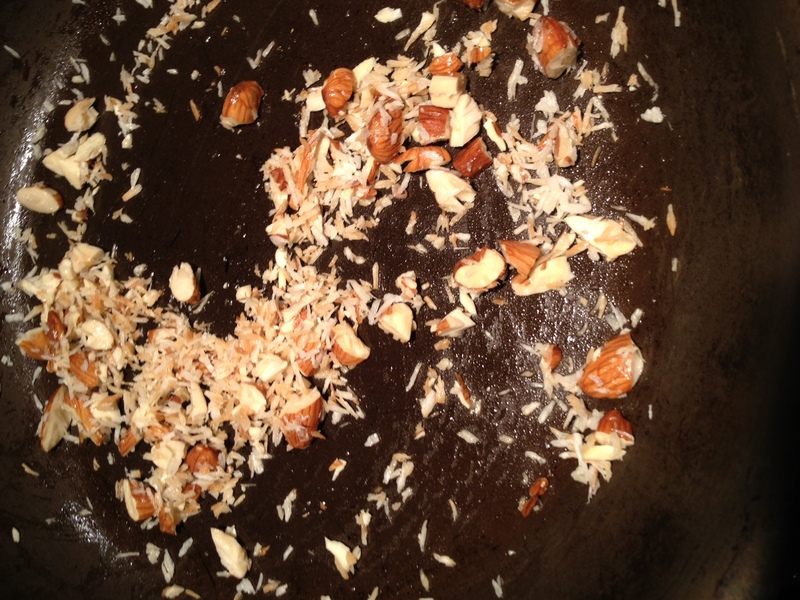 Heat the oil in a small frying pan and add the nuts and seeds (not chia seeds) and cook until starting to brown. 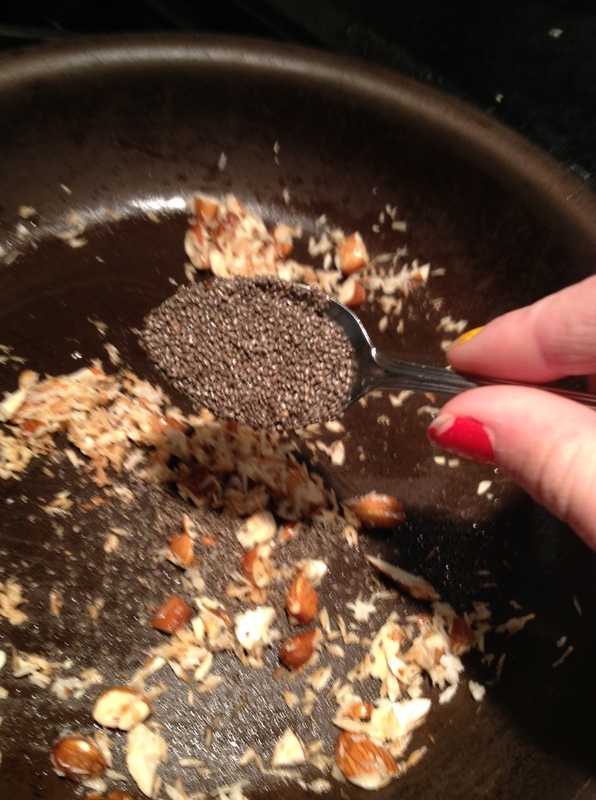 Stir in any cereal, dried fruit, sweetener, and chia seeds. 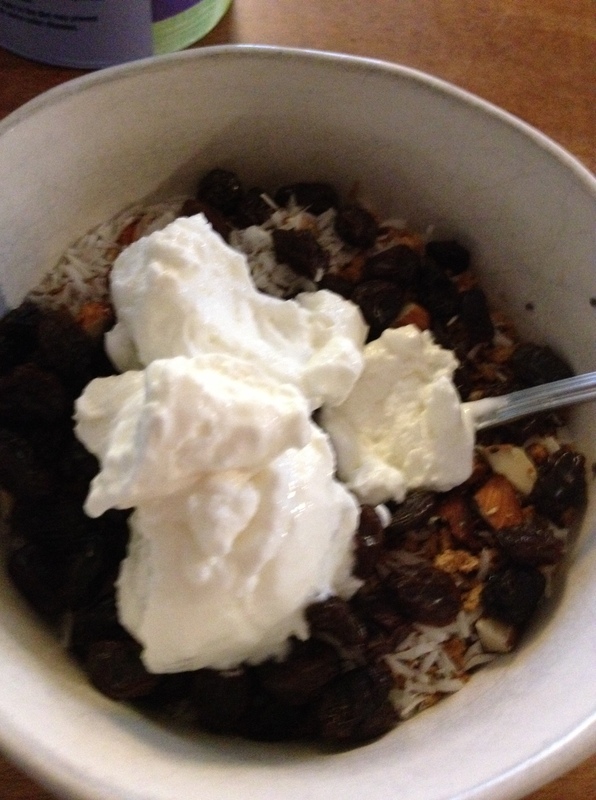 Put in a bowl and add any other fruit and toppings along with other toppings as you wish and enjoy!